We can see from the above that theosis does not just belong to the theological heritage of Orthodoxy for both St Irenaeus and St Athanasius are fathers of the undivided Church who wrote well before the schism of 1054 when the name of the pope was removed from the diptychs or intercession list of the church of Hagia Sophia in Byzantium. 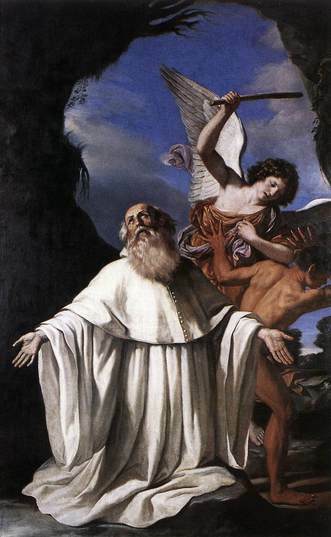 And the text of the second epistle of St Peter could not be clearer: the purpose of the incarnation is that ‘you may come to share in the divine nature.’ So how is it that we Catholics, Christians in communion with the See of St Peter, hear so little about deification? Why doesn’t the Magisterium teach about deification? After all, not only is it both scriptural and traditional, it is also vital to understanding the purpose of the Christian life, and not just for understanding but for living it! Although there is no entry for deification in the Catechism, we do find it referred to in Part 3, Life in Christ and specifically in the section entitled Grace: ‘The grace of Christ is the gratuitous gift that God makes to us of his own life, infused by the Holy Spirit into our soul to heal it of sin and to sanctify it. It is the sanctifying or deifying grace received in Baptism.’ (CC 1999) Two paragraphs before this definition we read the following which makes even clearer the intimate connection between the Catholic teaching on grace and the Orthodox understanding of theosis: ‘Grace is a participation in the life of God.’ And the paragraph goes on to explain: ‘It introduces us into the intimacy of Trinitarian life: by Baptism the Christian participates in the grace of Christ, the Head of the Body. As an ‘adopted son’ he can henceforth call God “Father”, in union with the only Son. He receives the life of the Spirit who breathes charity into him and who forms the Church.’ (1997) Grace is ‘the free and undeserved help that God gives us to respond to his call to become children of God, adoptive sons, partakers of the divine nature and of eternal life.’ The matter could not be clearer: although East and West have a different vocabulary, the theology is the same. Theosis or deification is the same as sanctifying grace. In the remainder of this talk I want to speak about sanctifying or deifying grace for, although it is given to us above all through the Sacraments beginning with Baptism, it is so important a theological topic that it should not be assimilated into sacramental theology. Indeed meditation on what it is we receive in the sacraments will enable us to appreciate better the nature of the sacraments themselves. Precisely such a meditation on grace is to be found in the pages of the work of Fr Matthias Scheeben (1835-1888) called The Glories of Divine Grace. It is subtitled A Fervent Exhortation to All to Preserve and Grow in Sanctifying Grace. Thus it is addressed to all the faithful as of course it must be since, as we have seen, the life of sanctifying grace begins at Baptism. The title of the first chapter is How Deplorable it is that Men Should Have So little Regard for Grace. I was reminded when I read that of the comment made in a talk I recently heard by Fr Andrew Pinsent, the co-author of the Evangelium course which I used in my Anglican parish in preparation for the reception of my small Ordinariate group into the full communion of the Catholic Church. He asked the summer conference of that movement comprising young Catholics how many had heard a sermon on grace. Apparently over two thirds had not. Judging by the reproach in the title of the first chapter of The Glories of Divine Grace, perhaps Fr Scheeben faced a similar situation. And so Fr Scheeben sets himself the task of explaining why we should have regard for grace: ‘By grace the soul is received into the bosom of the Eternal Father and, together with the Divine Son, participates in the nature of the Father on this earth, and in His glory in the life to come.’ He then tells us the views of two of the great doctors of the Western Church on this subject: ‘St Thomas teaches that the whole world and all it contains is of less value before God than the grace of a single soul… And St Augustine maintains that the whole Heaven together with all the Angels, cannot be compared with this grace.’ Fr Scheeben then compares the soul who rejects God’s grace with the Israelites after the exodus who ‘despised the manna God gave them on the journey… and longed again for the fleshpots of Egypt.’ He explains that ‘the manna was a type of grace – a figure of our nourishment on the road to Heaven’ while ‘the Promised Land was a figure of Heaven’. But why do we frequently disregard grace? Why are we often like the Israelites who longed for ‘the fleshpots of Egypt’? Fr Scheeben answers: ‘because we permit ourselves to be too deeply impressed by our senses with transitory things and because we have but a superficial knowledge of lasting, heavenly riches.’ So what is the remedy for this fascination with ‘the changes and chances’ of this passing world? ‘We must draw as near as possible to the overflowing and inexhaustible fountain of divine grace.’ And how do we do that? Fr Scheeben answers paraphrasing St John Chrysostom: ‘he who admires and praises grace… will zealously and carefully guard it.’ He then invites the reader to begin with him ‘the praise of the glory of his grace’, words from St Paul’s Epistle to the Ephesians (1.6). The chapter ends with five beautiful prayers addressed respectively to the three Persons of the Most Holy Trinity, Blessed Mary Mother of God and the Holy Angels. And that is the nature of this remarkable book: it is a work of praise and prayer. It is not just about its subject but is animated by it. For Sanctifying Grace, truly considered, must inspire praise and prayer. 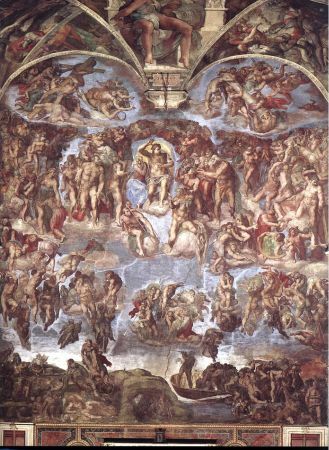 The sinner desires – as did our first parents, and the devil himself – ‘to be as God’. In truth, God Himself wills that we should be as He, but not without Him, not outside Him, not in opposition to Him. He does not will that we should make ourselves as other gods… He wills that we should be as He, but in His bosom, in His heart. He wills it to be through Himself and in union with Him, as in the case of His Divine Son, who is not another God, but the same with the Father. That is also the doctrine which Fr Gregory of Crawley Down taught during the fifty years of his life as a contemplative. And he did so in the belief that Anglican patrimony was not something idiosyncratic but was the same as what he called ‘the Great Tradition’, the teaching of the undivided Church of East and West. In the first allocution, I talked about some modern approaches to eschatology (the last things.) Sometimes these writers have played down the importance of individual eschatology. I suggested that communal eschatology – the general judgement and the general resurrection – are closely intertwined with our individual eschatology and that I would therefore address the topic of our own four last things without feeling guilty about doing so. The analogy between divine judgment and that of human justice brings with it resemblances, but also differences. Judgment before a human tribunal involves three steps: examination of the case, pronouncement of the sentence, and the execution of that sentence. The thought of judgement inspired the venerable Juvenal Ancina, Priest of het Oratory, and afterwards Bishop of Saluzzo, with the determination to leave the world. Hearing the Dies Irae sung, and considering the terror of the soul when presented before Jesus Christ, her Judge, he took, and afterwards executed, the resolution of giving himself entirely to God. The Dies Irae can indeed serve us well as a meditation on the particular judgement. 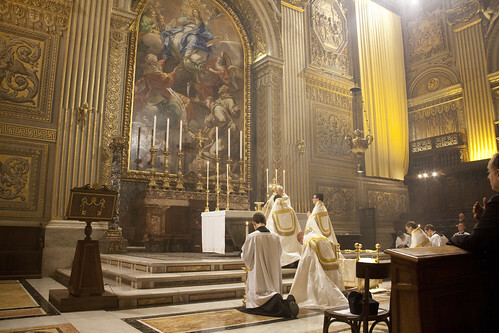 It is a significant part of the traditional Requiem Mass. Nowadays we struggle to convince people that the Requiem Mass is not simply a celebration of the life of the deceased person but also a sacrifice offered for the forgiveness of their sins. The traditional texts also encourage us to meditate upon the last things. I will take just a few verses to illustrate how we can prepare for the judgement that we will inevitably undergo the moment that we depart this life. Therefore when the judge shall sit, whatever is hidden will be made plain: nothing will remain unrequited. Perhaps in the past we have concealed a sin in confession. Perhaps we have grown in virtue and now realise that things which we excused ourselves in the past were in fact mortal sins. It is a good practice for us occasionally to make a general confession – not scrupulously or too often, but on the occasion of a change in our lives, or on a special retreat when we are determined to give ourselves more completely in the service of God, we can choose a suitable time, or make an appointment, to make a general confession of all the major sins and faults of our life. This need not take long: when people tell me the old joke (as they so often do) “Oh Father you can’t hear my confession, it would take all day”, I always reply “No, the confession can be quite brief, it is the penance that will take the rest of the week.” In fact, we will never do sufficient penance for our sins, but the more that we manage to do in this life, the less onerous will be our judgement. What shall I, a wretched man, say then? What patron shall I call upon when even the just is scarcely safe? What shall I say then? This question should prompt us to say all that we need to say now, in this life, while there is still time for repentance and conversion of our lives. Then, it will be too late. Now, God gives us time. Our time is so precious that we should not waste a moment of it. Whether at prayer, at work or at recreation, every moment of our lives should be lived according to God’s will, offered for Him and not for our own comfort. The time that we spend in recreation from our labours should be seen always as an act of charity to others, considering their needs, not our own, even if we have to spend time on our own relaxing in some activity that makes us better able to serve God and show charity to others. I pray, suppliant and prostrate, with heart ground down as ashes: have care for my end. Contrition is the tearing of our heart in shreds at the outrage that we have done to Our most loving Lord, at the part that we have played by our sins in gouging out the Holy Wounds which we venerate. This may come from a fear of hell or, as is more likely today when people forget the reality of hell, a sheer disgust at our weakness and at having let ourselves down. This is what we call imperfect contrition. In God’s infinite mercy, when allied with sacramental confession, it is enough. God accepts even this imperfect contrition as availing for the complete forgiveness of our sins and the opening of the gates of heaven. Much better is that perfect contrition which comes from the love of God. Meditation on the passion of Christ and upon His most holy wounds is a sure way to excite in ourselves that perfect contrition which mourns because we have offended God. Pondering the sufferings of Christ helps us in our weakness to see concretely and in physical terms what our sins, even the least venial sin, does to the incarnate body of the living God come down to visit us. We will shortly be celebrating the commemoration of All the Souls of the Faithful Departed. We should also try to visit a cemetery during the first eight days of November to gain the plenary indulgence as well as making the act of charity of praying for the repose of the souls of the faithful departed, especially those for whom nobody else is praying. These pious exercises, as well as attending Requiem Masses and arranging for Masses to be said for the dead, are primarily for the benefit of the holy souls. Grant, O God that while we lament the departure of this your servant, we may always remember that we are most certainly to follow him. Give us the grace to prepare for that last hour by a good life, that we may not be surprised by a sudden and unprovided death but be ever watching, that when you call, we may enter into eternal glory. Through Christ our Lord. Amen. May the Lord indeed give us that grace to live a good life of prayer, penance and works of mercy. And may he judge us mercifully when we appear before Him. In other words, it is not that we should not glory in anything else, but that we must glory in the cross. A few months later, October 27, 312, all the idols of Rome stood aghast to behold, approaching along the Flaminian Way, beyond the bridge Milvius, the Labarum with its sacred monogram, now become the standard of the imperial armies. On the morrow was fought the decisive battle, which opened the gates of the eternal City to Christ, the only God, the everlasting King. 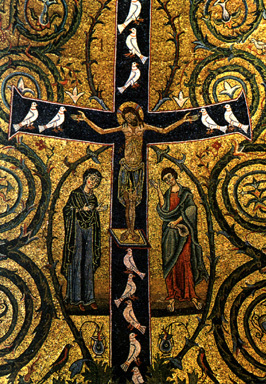 Constantine’s adoption of the cross as a symbol was a radical transformation in Roman attitudes to the Cross. Long before Christ, Plautus and Terence used expressions like “I in crucem” (Go to the cross) as a way of saying something like “Go to hell!” the Alexamenos graffito carved in plaster on a wall near the Palatine hill has a crude picture of a donkey on the cross, a man in an attitude of prayer and the inscription probably meaning “Alexamenos worships God.” One soldier taking the mickey out of another’s faith shows his God as a donkey. That soldier had to glory in the cross in spite of ridicule. Today people lose their jobs because of wearing a cross. The cross was central to the overturning of the fortunes of the Christians from a time of merciless persecution under Diocletian to their liberation just two years after his death. The cross must also be at the heart of our resistance to the encroachment of secularism on the freedom of Christians in Western countries which is growing day by day. We aren’t being thrown to the lions but the unborn and the elderly are being despatched in greater numbers that Diocletian could manage, and Christians are increasingly constrained if they do anything effective about it. 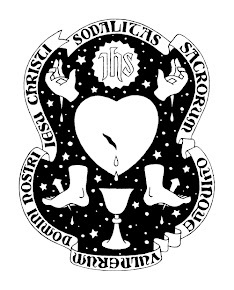 In the Sodality of the Five Holy Wounds, we glory in the cross and take consolation in the sweet and saving power of the sufferings of Christ for our salvation. As well as being justly bold and proud in our faith, we must embrace the cross in daily life, both by chosen penances and daily mortification and by the acceptance of those penances that God sends to us in His providence. If we can learn to bear with and even rejoice in those daily trials, we will have a small glimpse of the happiness of the Holy Martyrs who were unshaken by their torments but worshipped, trusted and gloried in the Cross of our Holy Saviour. A new year is upon us and the first event will be the Sung Mass on Friday 14 September 2012, the Exaltation of the Holy Cross, at 20:00 at Our Lady of the Rosary, Blackfen. The Mass will be followed by a shared supper. All are welcome to this celebration, which will also be the fifth anniversary of Summorum Pontificum – Deo gratias! The meeting dates are now fixed for the year and are listed in the sidebar. We look forward to seeing you at some or all of our events. There is a wonderful article at Vultus Christi about the link between temptation and the Five Holy Wounds. The author, Dom Mark Daniel Kirby, is Prior of Silverstream Priory, under the patronage of Our Lady of the Cenacle, in Stamullen, County Meath, Ireland. Read the post here: vultus.stblogs.org/2011/02/temptation.html.